Product prices and availability are accurate as of 2019-04-19 01:46:57 UTC and are subject to change. Any price and availability information displayed on http://www.amazon.com/ at the time of purchase will apply to the purchase of this product. suggesting a sinistral magical kinship. Indeed, the use of plant, animal and mineral toxins is a strand of magic originating in remotest antiquity and reaching the present day. Beyond its mundane function as an agent of corporeal harm, poisons have also served as gateways of religious ecstasy, occult knowledge, and sensorial aberration, as well as the basis of cures. Allied with Samael, the fallen serpent-angel of first transgression whose Hebrew name in some translations is ‘Venom of God’, this facet of magic wends through the rites of ancient Sumer and Egypt, penetrating European Necromancy, Alchemy, the arcane the rites of the Witches’ Sabbath, and modern-day folk magic. VENEFICIUM concerns the intersection of magic and poison. Of particular note to this study are the herbs of the so-called ‘Devil’s Garden’, which bear relation to the allied witchcraft concepts of the Graal of Midnight, the Witches’ Supper, and the flying ointment of the witches which has exerted fascination over scholars, historians, and practitioners alike. Beyond consideration of the toxicological dimensions of magical power, the related threads of astral and philosophical poisons are also examined, and their resonance and dissonance with magical practice explored. 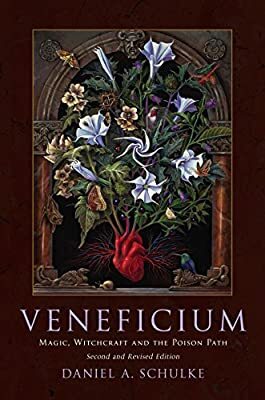 VENEFICIUM will be of interest to students of magic, witchcraft, alchemy, botanical folklore, medicine, and occult pharmacology.